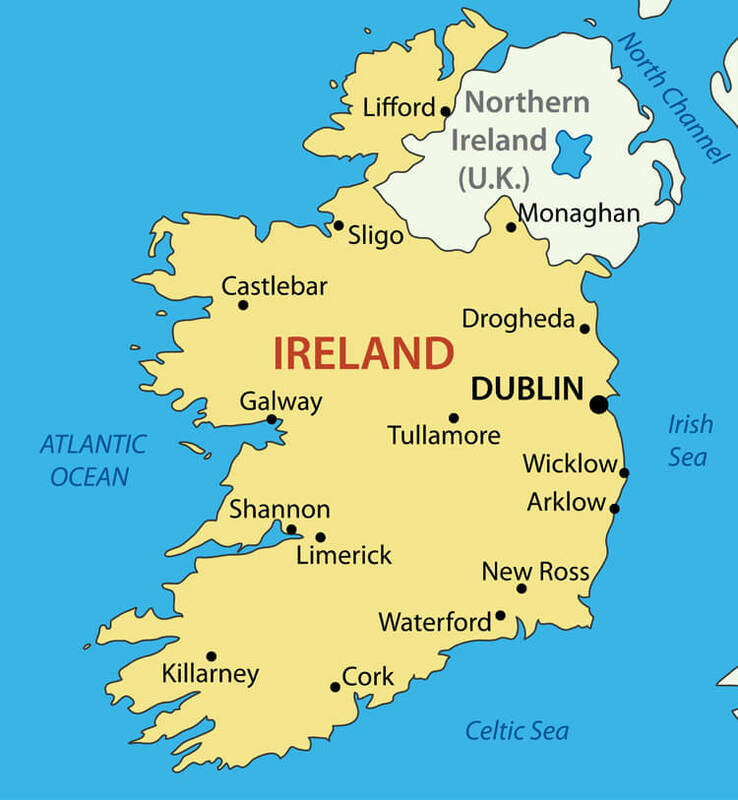 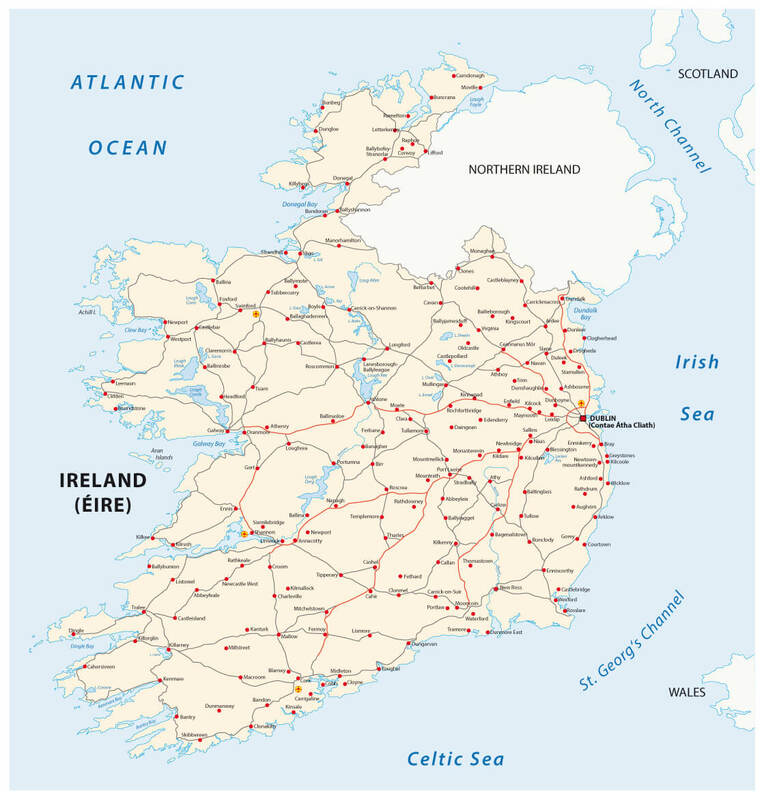 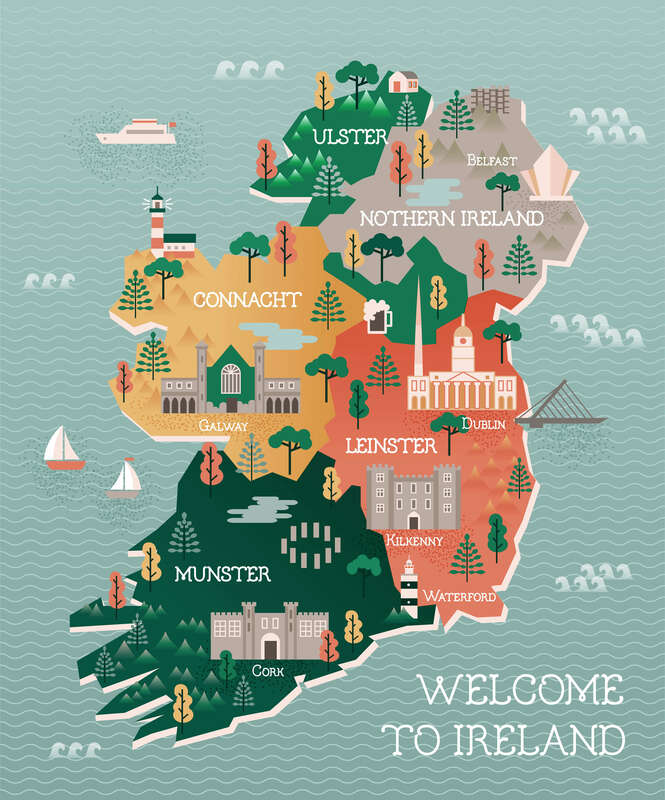 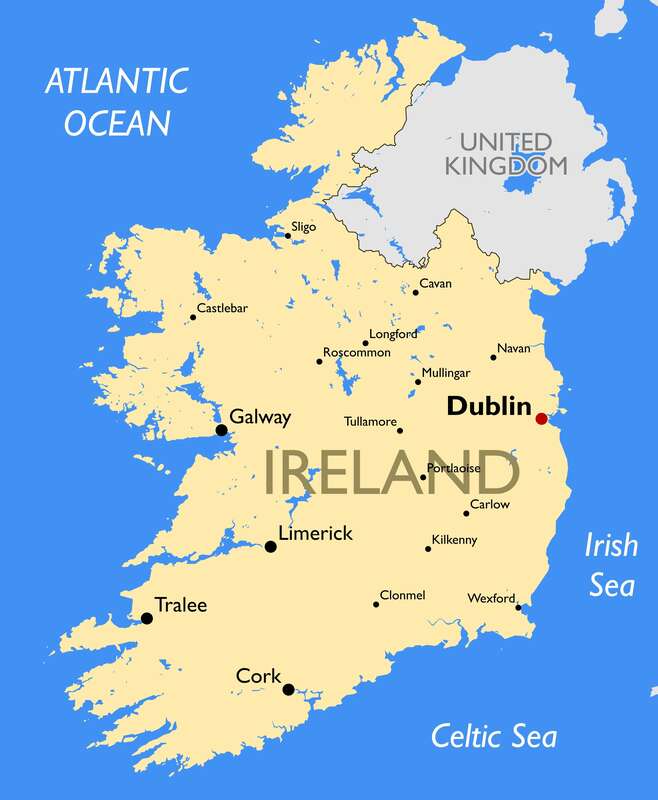 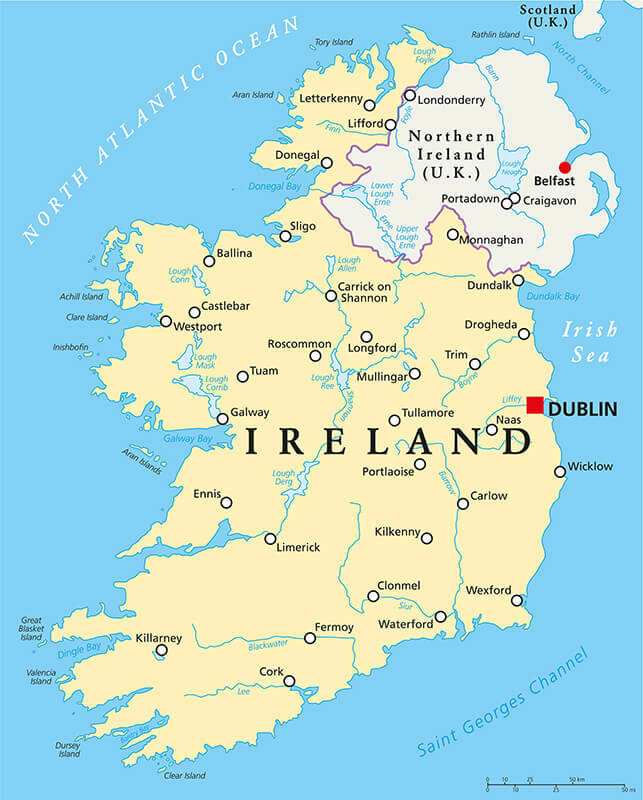 Travel map of Ireland with landmarks and cities. 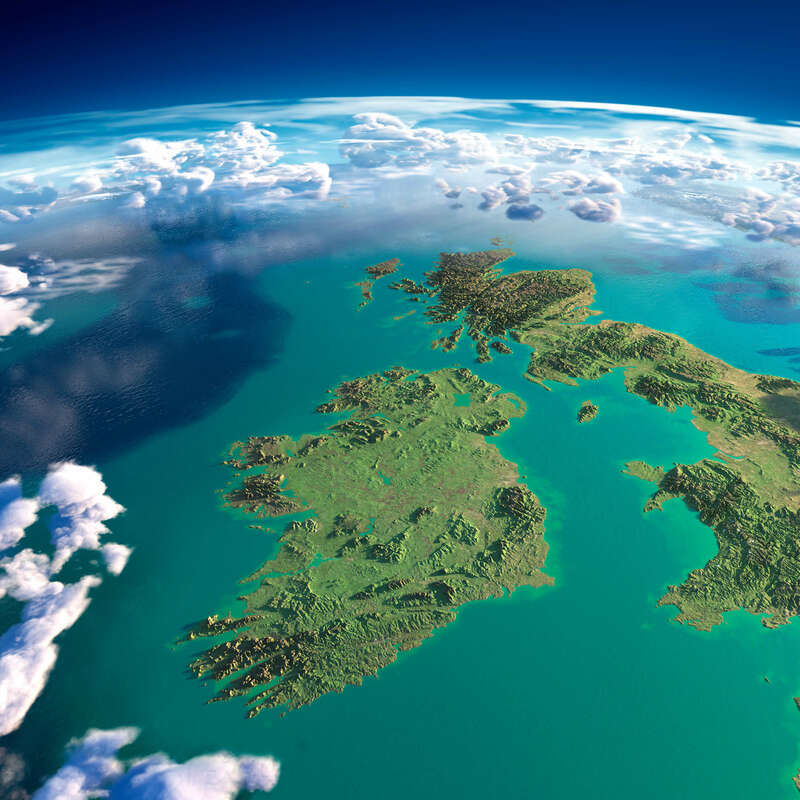 Highly detailed Ireland and UK Map with fragments of the planet Earth with exaggerated relief, translucent ocean and clouds, illuminated by the morning sun. 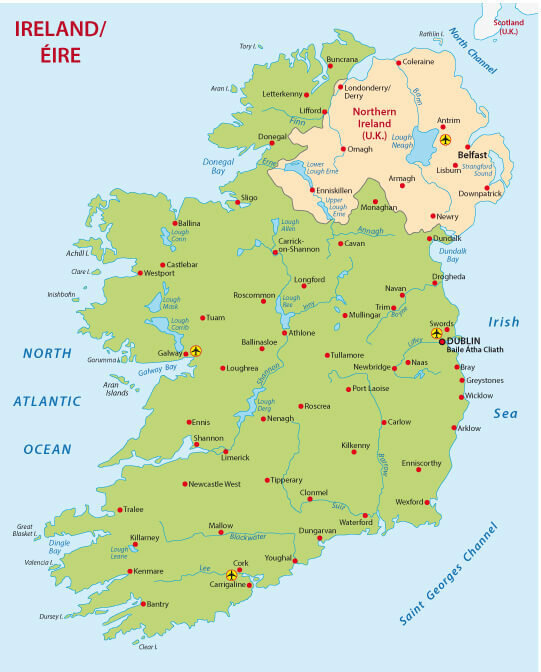 Ireland Political Map with capital Dublin, national borders, most important cities, rivers and lakes in English labeling and scaling. 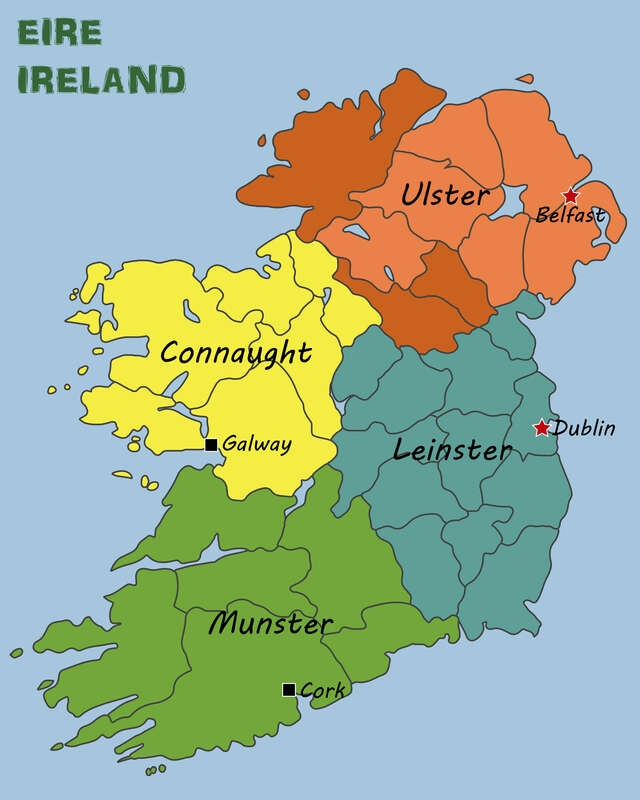 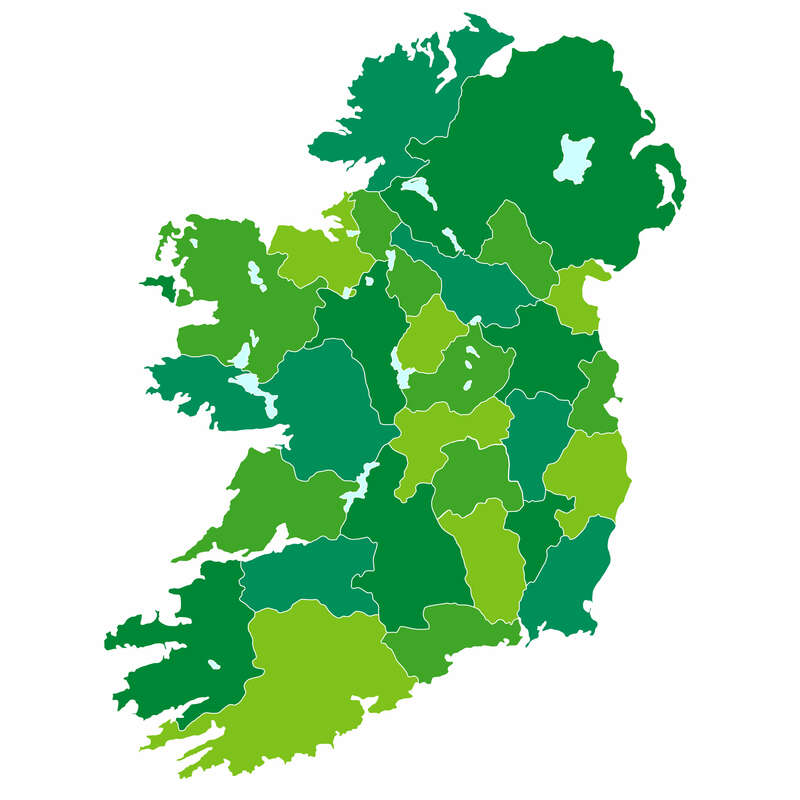 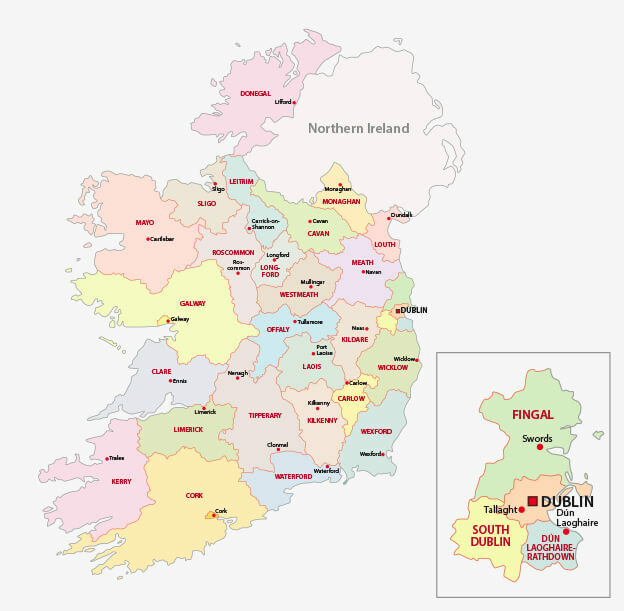 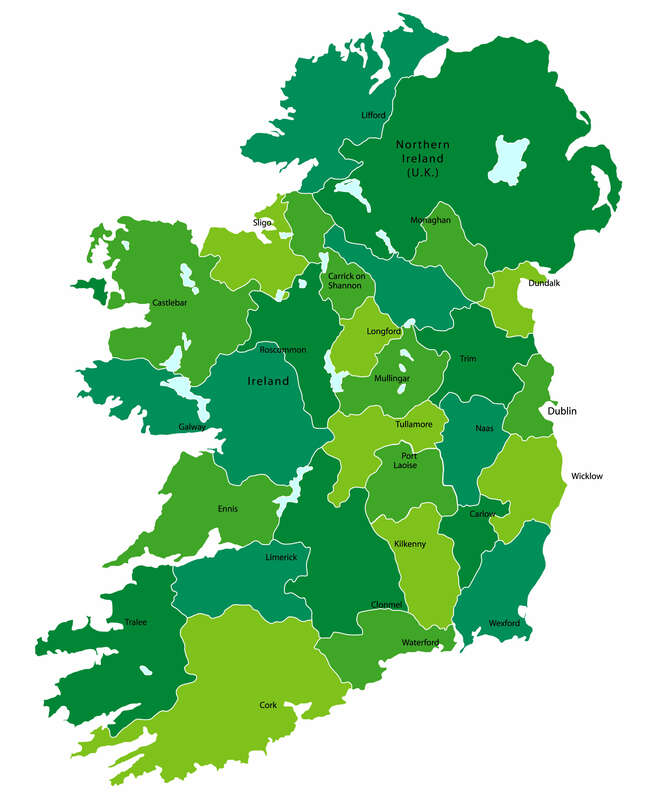 Map of Ireland Administrative divisions on counties level.